A special rose-collector’s edition filled with beautiful, painted rose projects, stunning rose photographs for inspiration and lovely rose quotations to help guide you on your creative path. Painting Roses introduces the artist to the fundamentals of painting a rose using oil paint- (if you prefer acrylic paint, feel free to use what’s best for you. 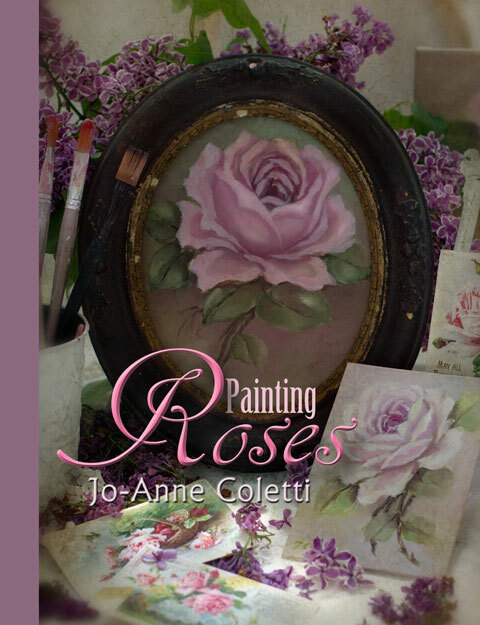 You will learn Jo-Anne’s pigments and mixing techniques, brushes, basic colour theory and Jo-Anne’s best art tips for painting beautiful roses. This is for the artist who wants to build a foundation on painting a rose. 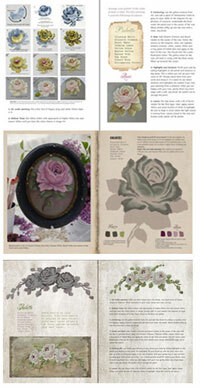 20 pages with 4 tracable designs, and Jo-Anne's rose photography to inspire you. A sample of what's inside.. There is a section on basic colour theory which includes a colour wheel, understanding colour value and opposites, mixing muting shades for contouring and using complimentary colours in a paintings. There are five rose paintings/designs which includes the patterns to trace the composition on canvas or transfer to your own project. Each design will instruct you on which colours to use, how to mix colours, where to add highlights and shading, and the brushes that I used for the composition. 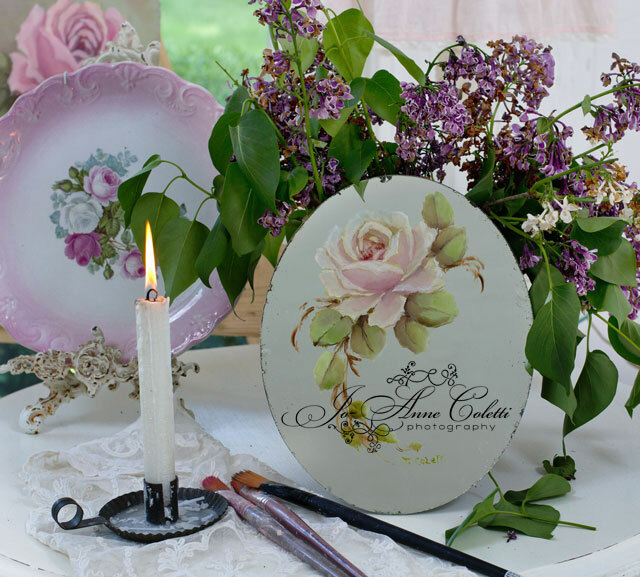 There is also a detailed, 12 step brush stroke instruction page demonstrating from start to finish, which direction to hold, place and stroke your brush for making a beautiful rose. It is almost as good as me being there with you. I believe anyone can paint. Creating a beautiful piece of art is not an impossible dream. To Paint one only needs inspiration, dedication and technique. The desire and determination you will have to find within yourself, the technical skills can be taught. I will share with you the simple techniques that I have developed for painting beautiful roses. With easy to follow instructions and diagrams I will demonstrate how colours are mixed and used, how to achieve highlights and contours, and how to blend and finish your painting. It is my wish that you too will know the pleasure and fulfillment of painting and that you will enjoy the satisfaction that comes from developing and nurturing your creative side.